Chris offers a variety of shows and workshops. Together with, magician Christophe Lombardi, there is "Magic and Mayhem" or the "Maths Magic Adventure" to name just a couple.. 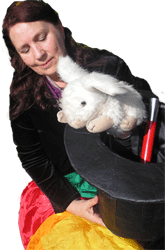 The shows and workshops are ideal for schools, libraries, festivals and family fun days. 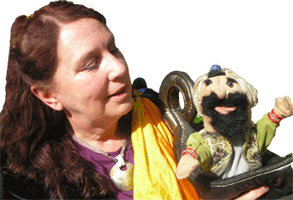 Story telling and Magic is available for adults as well. Select a link from the list on the left for further information and pictures.